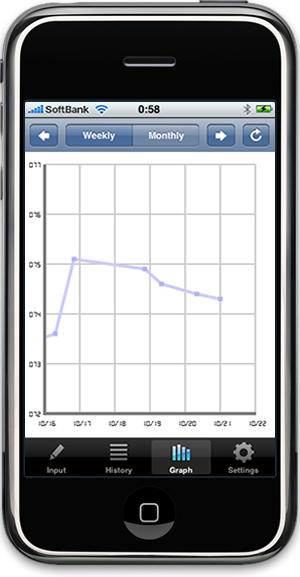 The iLifeScale application allows you to easily record your weight on a daily basis. The application exports the latest recorded weight data as a CSV file automatically, then you can export the data easily to use other applications and Web services such as Excel or healthcare services. Easy to input your weight on a daily basis. Easy to view or remove your recorded weights from any day. Graphs your recorded weights in weekly or monthly view. Export your recorded data to a CSV file using sharing file function of iTunes. To add your new weight, use the input panel. 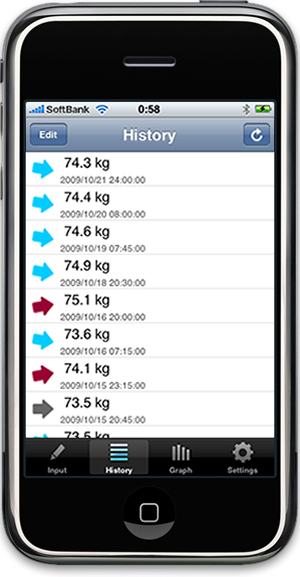 Using simple user interface in the panel, you can select the new date and weight, then save the new record easily. 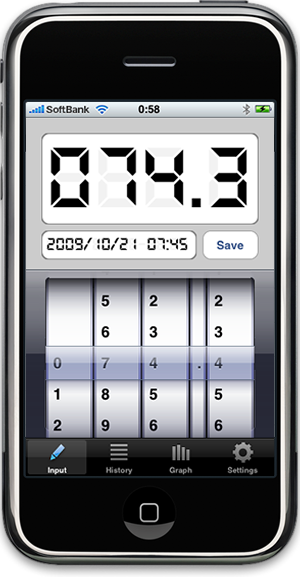 The history panel displays your recorded weights by the list view. Using the edit button, you can remove the unnecessary data easily. 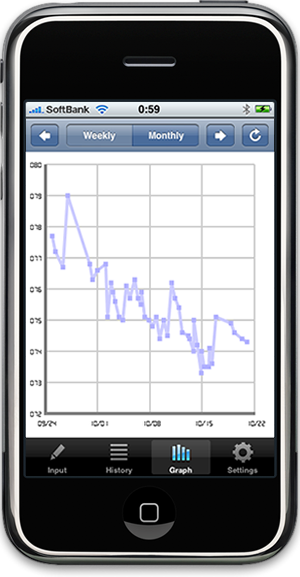 Using the graph panel, you can check your recorded weights visually. Using the toolbar buttons, you can select the display span and range easily. You can get the exported weight recordes as a CSV file easily. Please check iPad: About File Sharing to get the exported file using the sharing function in more detail. Using standard browsers such as Safari, you can export the recorded weights in CSV format to use the data with other applications or Web services such as Excel or healthcare services easily. 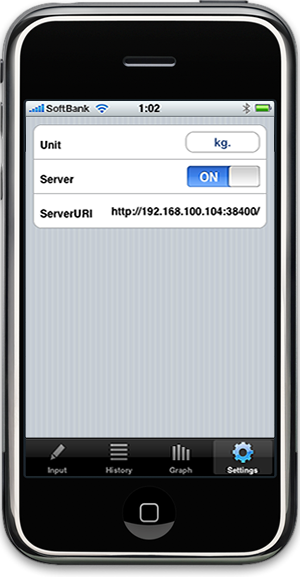 To export the data, turn on the embedded server and open the server URI by your browser. Unit Select kg. or lbs. kg.